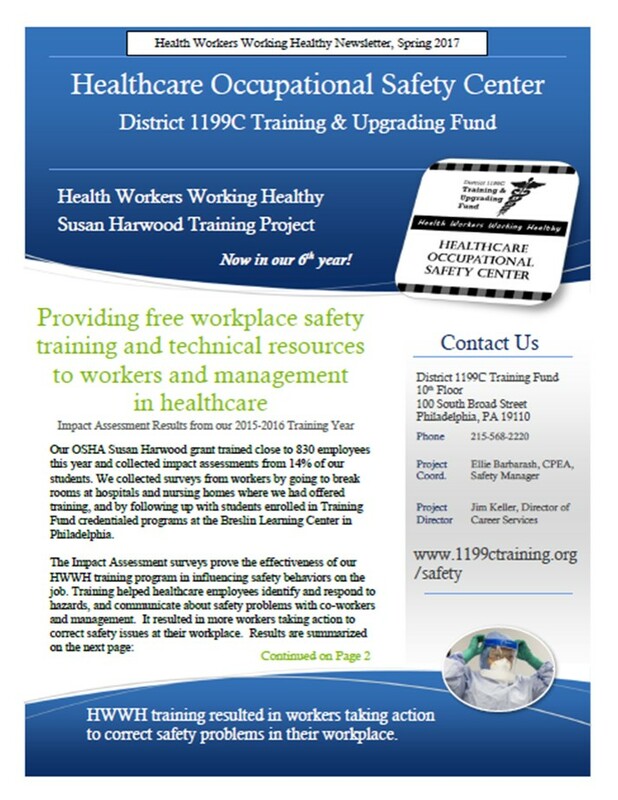 Health Workers Working Healthy is an OSHA Susan Harwood grant funded program. We are currently in our eighth grant year! We have provided safety training to over 7,000 healthcare employees to date, focusing on low-literacy, minority, hard-to-reach workers, including frontline supervisors and young workers, ages 16-24. Our trainings are free and include relevant, visually-rich training material, written for a low literacy audience; with hands-on and participatory exercises as well as ample opportunities to ask questions and interact with the instructor. Trainings are delivered by professional instructors using highly visual PowerPoints, props, personal protective equipment (PPE), short videos, factsheets, small group exercises, and hands-on activities. Trainings are offered on site at your facility and can be customized specifically for your facility. Classes at workplaces are usually one hour, but can be as short as half an hour or as long as two hours. All classes include information on OSHA rights, protected safety activities, whistleblower protections, and complaint timelines. HWWH classes are available at the Training Fund’s Breslin Learning Center, or on-site in healthcare and human services workplace. 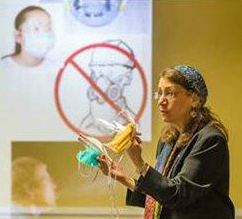 Trainings and classes – including customized trainings – can be scheduled by calling 215-568-2220 (ask for Jennifer Reibsane) or by visiting Classes Offered. Click on the cover image to the left to download and read our 2018-2019 Health Workers Working Healthy Newsletter. As part of the Susan Harwood grant program, we offer free occupational safety information and technical resources to workers and employers in healthcare. Previous requests for assistance have covered safe patient lifting, infection control, PPE and respiratory protection, biohazardous waste handling, emergency equipment, workplace violence prevention, and much more. Call Jennifer Reibsane, Safety Manager, at 215-568-2220 for more information. All HWWH materials are produced under grant SSH-05061-SH8 from OSHA, the Occupational Safety & Health Administration, US Department of Labor. HWWH materials do not necessarily reflect the views or policies of the US Department of Labor, nor does mention of trade names, commercial products or organizations imply endorsement by the US government. Bianca Ferreira, MPH, was an intern with the HWWH program in 2013-14 while she finished her graduate degree in Public Health, concentrating in Environmental & Occupational Health at Drexel University. She interviewed frontline District 1199C union members to explore how they were exposed to occupational eye injury, and to uncover the best ways to provide education about protecting workers eyesight on the job. Together with Safety Manager Ellie Barbarash and management partners at Jefferson, Temple and Inglis House, Bianca developed a safety training program called Eye Safety in Healthcare. 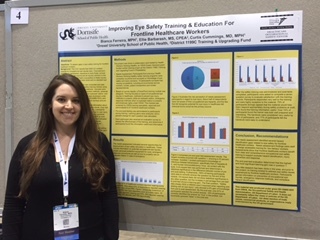 She wrote up her findings in a Poster called Improving Eye Safety Training and Education for Frontline Healthcare Workers. Bianca and faculty from the Drexel Dornsife School of Public Health presented her poster at the annual American Public Health Association conference in Chicago in November 2015. "With HWWH's support, Inglis has significantly lowered its OSHA recordable numbers while seeing a large increase in the overall number of reports taken. This speaks to a new safety culture, one in which people trust us to intervene on their behalf to help solve issues before they become injuries. HWWH's role is an important one, and our employees have definitely benefited from having this assistance!"